Something I just came to realize. Eurobeat + “yahoo!” = Hello! Project. I like that cheap-sounding foolishness. I like how loud he is in Ananashi. It has to be said that when you listen to Uchouten when you’re tired, those “wahoos!” are really irritating. (laughs) When you’re feeling good though, they make you fired-up. And with Uchouten, they literally start five seconds into the song. You have to be mentally prepared to listen to that song. He’s very prominent in Yuujou Junjou oh Seishun, too. I like how he gets more and more into it as the song goes on. By the outro, the only voice you can hear is his. Pyoko Pyoko Ultra was just a Tsunku solo song with the members of Morning Musume as his backing singers. It’s so awesome that Country Girls brought back Honey Pie for good. The real chorus of Honey Pie is actually his rap bit, right? His vocals in Uchouten LOVE are a bit too much. Songs like Loving you Too much have just the right balance. He’s overdoing it in Uchouten LOVE. 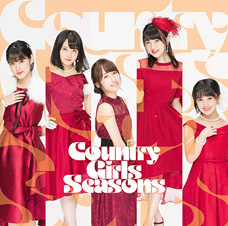 When talking about this subject and early S/mileage though, I’m reminded of Shortcut much more than Uchouten LOVE. H!P is the biggest supporter Yahoo! has ever had. It’s way prominent in songs like Aenai Nagai Nichiyoubi and Romantic Ukare Mode. Especially in the latter it’s just too much. He’s singing throughout the whole thing from beginning to end in songs like Iku ZYX! Cry cry dono kurai (fuu!) watashi wo suki na no? Terada voice — you feel annoyed when you hear it, but lonely when you don’t. He was pretty damn annoying in Matenrou. He sings throughout the entirety of Ananashi, from beginning to end. 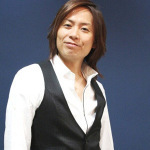 I only just recently started listening to H!P and I was surprised to know Tsunku sang in their songs — he sounds so different it’s hard to believe it’s actually him. If those male vocals sound kind of throaty and like a bit “transparent” — if that’s how you’d describe it — then that’s not him. 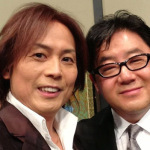 There are two other males that regularly do chorus vocals aside from Tsunku. Yeah, this was a person with a throaty voice. So that wasn’t Tsunku? Up until now I’d always been told it was Tsunku and I was just thinking to myself how that can’t possibly be true. So this is actually really helpful to hear. Thanks. I’m going to listen to all the songs linked in this thread and become able to tell Tsunku’s voice apart from the rest. I borrowed Berryz’ 1st album from someone only to find out that it was pretty much just a Terada solo album. The guy appearing on many of the songs on that first album is not Tsunku but rather Takeuchi Hiroaki. You can’t in good consciousness call yourself a wota if you can’t even tell the two apart. Early Berryz and Taishisu was pretty much just a musical playground for Tsunku. I’m a newbie so I’m still very much clueless, but are those “waos!” and stuff in Brainstorming Tsunku? He was annoying in that Pucchimoni Christmas song, too. If you try to sing the Terada bits in Ananashi when you’re doing the song in karaoke, it’s really difficult to make it to the chorus unscathed. 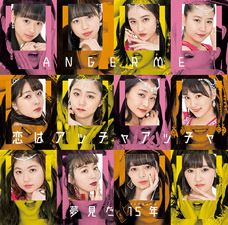 They need to release group-specific Tsunku demo vocal anthologies. Matsuura’s Sou Ieba. He’s going “ran ran ran ran ran” throughout the whole thing. 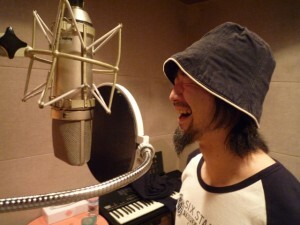 You can hear a pretty funny duet part between Heike-san and Terada in a song he wrote for her. The songs that Tsunku♂ is annoying in are always the songs that end up being the ones that get people fired-up when they hear them live. So I just listened to Fighting Pose and I wanted to ask: is that “WAO!” thing and the “nnnnMA!” thing in the intro Terada? Yep. All the “come on!” and “kaaaaan!” stuff is him, too. Once you start noticing Terada’s vocals, you can’t concentrate on listening to the actual members anymore because you’re too busy listening to him. Osaka Koi no Uta. He should’ve just released that under his own name. People were really into isolating the Tsunku vocals in songs at one point. You guys sure do love Tsunku. At the end of the day, H!P really is all about whether you’re able to accept Tsunku or not. Try listening to Nanchuu Koi wo Yatteruu YOU KNOW? while having the headphone jack only halfway plugged in. Tsunku is literally all you can hear. It scared the crap out of me when I heard it. But I love it. Tsunku’s version of Crazy Kanzen na Otona is way too annoying. When I heard that, I just thought to he ought to release that himself. Hearing that I felt that, at the end of the day, Terada really is the only one who can sing H!P songs the way they were meant to be sung. 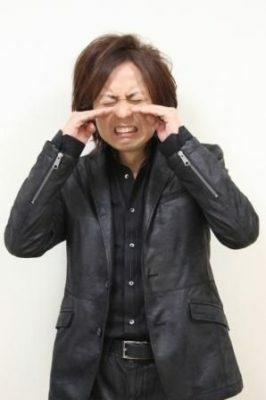 Guys, don’t mistake Tsunku for Umedy. U.M.E.D.Y. was the guy who did all the rapping bits starting with Renai Revolution. He can still be heard in recent songs even now, such as Watashi no Dekkai Hana and Loving you Too much. He’s pretty great. 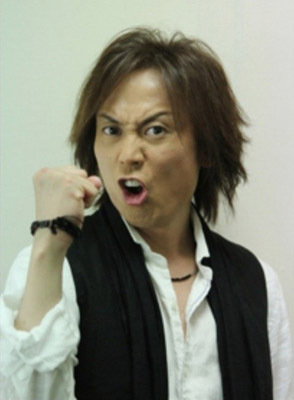 It’s not that I love Tsunku’s vocals or anything, but when I listen to those demo versions of his, that’s when I really get the strengths of that song, or like, what he was trying to go for with that song. 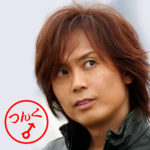 Is Resonant Blue the only song Tsunku’s ever released his full demo version of? While they aren’t demo versions, he’s also covered several songs on his solo albums. 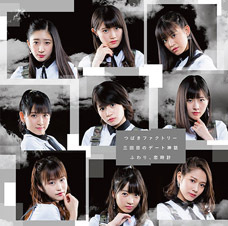 I wish they’d include those Tsunku demo versions as a special bonus on the singles. I was surprised to hear how cool Terada’s version of Resonant Blue actually is. It might be that although we think we love the members of H!P — our moon — we might actually be in love with Tsunku — our sun. I still remember laughing when Taishisu performed Gatamekira on Music Station and Terada made a special appearance just to do those “DARADDAARARA” bits live. I think that may be the only live appearance Tsunku has done with other H!P members where he actually sang. Terada should release a self-cover album already. Acchan and Umedy-san can do the backing vocals. 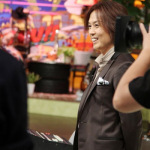 I want to become a cool guy like Tsunku when I grow up. I’ll be honest. 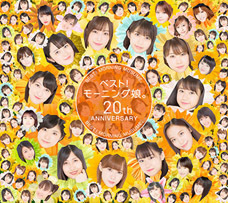 Wanting to hear Tsunku’s annoying backing vocals is the whole reason I listen to H!P. 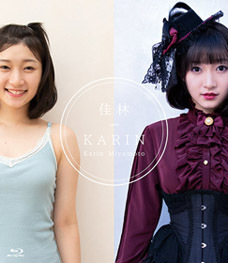 ← Who has the most “H!P-like” face? It would be very artificial, but having recorded hundreds… thousands… of songs, I bet arrangers could make heavy use of his samples for decades if they really wanted to. The thing that really gets me about Nanchuu koi wo yatteruu YOU KNOW? isn’t Tsunku’s backing vocals but the fact that the solo is literally just falsetto “haaaaaa~”s. It’s gloriously absurd. Though I also really like the MM version, so I’m glad it was released this way. 1) I loved the segue between the two posts. 2) I loved the animation on that version of Resonant Blue. Anyone that didn’t watch the whole thing is missing out. 3) I really want to hear Henkka hit the high notes on that Minnie Riperton song. Uchouten Love isn’t that bad if you’re familiar with the genre. The wahoos are exactly the sort of “wahoos!” you’d hear in Japanese Eurobeat and parapara songs in the late ’90s and early 00s, I thought Tsunku pulled off that sound off flawlessly without ripping it off. 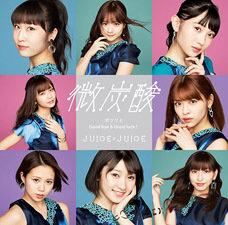 I know similar talk about releasing Tsunku demo albums has come up before, but I really like this one. Something like the Berryz Koubou Completion Box was largely duplicate material for fans, but six discs of “Tsunku Sings Berryz Koubou”? Yeah, I could find 9000 yen to put towards that. I know right! :( Like in Iku ZYX! Fly High by ZYX (at the start of the song). Also in Ne-e? by Aya. But my favourite is the “BUT I CAN’T LIVE WITHOUT YOU BABY” in Anata nashi de wa Ikite Yukenai by Berryz Kobo. Teranya and the Musumettes. 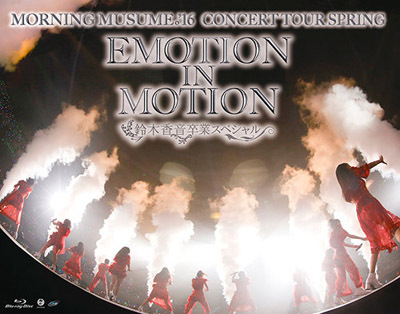 Actually this one is creepy af when hearing all the Sayashi and Michishige harmonies, but nice when hearing Tsunku who sang the whole chorus. I didn’t even notice all of this.